Scheduled fun may seem like an oxymoron, but it’s the best way to stay within your means. Choose a day to meet up with friends each week. It helps get you through the week without extra spending. After all, it’s hard to rationalize going out on Wednesday if you’re meeting up with friends on Friday. Plus, scheduling something ahead of time means that you can scope out the best deals. Happy hours and daily drink specials are the best way to make drinks with friends affordable. Shoot for a specific drink (Margarita Mondays, anyone?) or just settle in and enjoy affordable well drinks. Happy hour drink specials abound. Don’t forget that most happy hours include some form of discounted food. It’ll be a small selection, but cheap food is, by definition, good food. Not sure where to find good happy hours? Check local papers — especially the weekly ones. 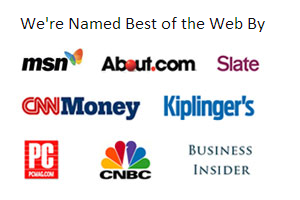 Those will usually do “Best of” lists on a fairly regular basis. Chances are, “Best Happy Hour” is a popular one. Failing that, scope Yelp for reviews. In the same vein as happy hour, some stores offer special rates one day a week. Thursday nights, GameWorks will let you play unlimited games for $10. On Wednesdays at Dave & Buster’s, you get half-price games. Pool halls and bowling alleys sometimes have discounts for happy hour or special rates for Ladies’ Night. If you’re not female, just make sure there’s at least one in your group, and you can probably talk your way into the discount. Almost all restaurants — from fast food to sit-down — have mailing lists, and they want your email. To convince you to join, they’ll offer special sign-up bonuses. Usually it’s a free dessert or appetizer, but some will actually offer you a buy-one, get-one coupon. If you’re going to do a lot of these — and you probably will — it’s best to set up a separate email account. This lets you get the deals without your regular inbox being inundated with tempting offers. There are a slew of birthday specials, discounts, and even flat-out freebies to be had for your birthday. Play this right, and you can enjoy courtesy items throughout the month. If you’re already signed up for restaurant email lists, you’re pretty much set. Some offers will be free (IHOP, Red Robin, ColdStone Creamery, etc) and others will be buy-one, get-one (Black Angus, Dairy Queen, etc). Either way, it’s a chance to dine out without spending much. Don’t forget that birthday deals extend beyond food. Some companies will send you discounts during your birthday month. I get offers from clothing stores, amusement parks, and movie theaters. Check out MSN’s list of birthday freebies and how I celebreated my fabulous (and frugal) 30th birthday. Most of us know that there are some great deals to be had with sites like Groupon, LivingSocial, Eversave, and kgbdeals . You can get services you need anyway, like oil changes or dental cleanings, at incredible discounts. It’s also a good way to get a few luxuries in. So, yeah, those are great deals. An even better deal? Resale sites like CoupFlip and MyCabbage. These sites let people sell their unused vouchers. They get some of their money back, and you get a deal. Everybody’s happy. The best way to see free movies is to go to movie previews. To get passes, check your local papers’ movie sections. Most weekly papers will feature at least one preview opportunity per edition. Sometimes you have to go to a store and pick up the passes. Other times, you’ll need to mail in a postcard. Either way, you’re seeing a movie for free — and before most of the public! Also, sign up with Gofobo for movie preview offers sent to your inbox (and passes you print at home). Note that your pass doesn’t guarantee a seat. You’ll need to get there early. It’s best to bring friends. They’ll keep you company in line, and they’ll hold your spot when you need a bathroom break. It’s all about thinking ahead, folks! Also check out rewards programs, like Swagbucks and MyPoints. Redeem your rewards points for movie theater gift cards. One of the best sources for movie tickets is MyCokeRewards.com. You can redeem points for a movie ticket, a movie ticket plus a drink voucher, or (my favorite) a combo deal of two tickets, two drinks, and a large popcorn. Don’t drink Coke products? You probably have friends or coworkers who do. Most of them will be happy to save them for you — and don’t forget to scope out the office recycling bin. If you can write a few paragraphs and have a basic grasp of spelling and grammar, you can mystery shop. Most interactions are pretty brief, and the forms rarely take more than 15-20 minutes. You go to the store, ask a few questions of an employee, and then go home and write up the experience. First, shops involving purchases are reimbursed. That means you have to be able to pay up front. Second, you need to be careful in completing your assignments. If you don’t complete all parts correctly, the company doesn’t get paid. That means you don’t get paid (or reimbursed)! As long as you read the assignment carefully, you should be fine. Third, it takes time to get paid. The companies have to get paid by the store before they can pay you. So you’re looking at a turnaround time of 30-60 days. Volition has the most comprehensive list of mystery shopping companies that I’ve ever seen. Before you go there, though, download a free auto-fill program. You’ll need it. Readers, got any cheap-fun ideas to share? Abigail Perry is a regular MSN Money contributor and the founder of frugality blog I Pick Up Pennies.